The Slovak Chamber of English Teachers is delighted to have three excellent teacher trainers for our inaugural conference. Each one has been specifically asked to share with us as English language teachers because they are experts in their fields of interest – areas that are important to what happens in our English classrooms in Slovakia on a daily basis. First of all, we asked Péter Medgyes to come because of his research into non-native teachers of English (NNESTs). The vast majority of us are not native speakers of English and we often feel that makes us ‘less’ in the English classroom. At the same time, native speakers of English (NESTs) – often with no qualifications or experience – are elevated to a special status simply based on their place of birth. Peter’s plenary ‘Always look on the bright side – Being a non-native teacher‘ will address the issue. We asked Barb Hoskins Sakamoto for three reasons: we’ve seen her commitment to excellence in teaching YLs online (via Oxford University Press), we’ve seen her commitment to teacher training (via iTDi), and we’re coming to believe that the most important English teacher in Slovakia is the one teaching young learners. According to British linguist David Graddol, all the rest of us English teachers will no longer be needed in future years. Why? Because English is being taught to younger and younger children. By the time they’re old enough for our classrooms in secondary school, they will already know what we now teach our teenagers. That’s how it could be…should be. And for that reason, investing into primary English education and our teachers teaching at the primary level is vital to our future as English teachers. And so we asked Barb to come and do some training in teaching YLs. Her plenary ‘Moving beyond 21st century skills‘ will cover what we can do to ready ourselves and our students for the future that awaits us. Finally, we asked David Fisher to come show us all how to use fun, games and performance to make our classes a bit more enjoyable. We all know how difficult walking into that classroom can be some days. We face issues and situations that were never covered in our training. Using drama isn’t the answer to every problem, but it can surely help our students (and us) relax and make our lessons more fun. David’s plenary/performance ‘We can all use theatre as a tool for teaching‘ will include us in the fun on Friday evening. And we’ll probably even learn something! The final two workshops we’d like you to know about are from two entirely different categories: continuing professional development (CPD) and using humour to teach. We’re thrilled to have both of them. The Regional English Language Office (RELO) for Central and Southeastern Europe, based in Budapest, offers a range of programs and resources for both teachers and learners of American English and culture. During this session, participants will be introduced to RELO’s teacher exchange programs, some of our teacher training programs and grant opportunities, as well as a wealth of free books, journals, games, mobile apps, and audiovisual materials for educators and students. Humour is the yeast of life and the best medicine. This workshop invites participants to express their views on the role of fun and laughter in ELT, and share their ideas and experience with the rest of the group. Whenever the dialogue creaks to a halt, I’ll throw in activities meant to be funny AND linguistically useful. The last, but not least, of the young learners workshops on offer at SKA 2015! Is pair work possible in the YL classroom? Is it a good idea for children to work in pairs? Is it relevant? This workshop will focus on the advantages of doing pair work with primary learners and explore ways of introducing it to our YL classroom, while bearing in mind the potential problems. We’ll look at some hands-on activities to take straight to the classroom which will help us master pair work with our young students in the future. Sue will present teaching strategies that promote better understanding of Roma culture, using her two new tri-lingual (Slovak, English, Roma) children’s books (Children of the Sun) based on a Roma folktale and illustrated by Roma students. All participants will receive free copies of the books, audio CD and Teacher’s Manual with additional classroom lessons. And a 90-min Friday workshop with Barb Hoskins! There’s a lot of talk these days about including 21st century skills in language classes. What are these skills, and do they have any place in a language class where teachers have limited contact time, and the priority is, still, to teach English? In our workshop, you’ll learn teaching techniques to help your learners become strong English users and also critical and creative thinkers. By making every moment of class time count, you can help your students succeed – on exams and in future jobs. You can build both the traditional four skills (speaking, listening, reading, and writing) and the 21st century 4Cs (communication, collaboration, creativity and critical thinking) in every class. Here are the last of the drama workshops on offer at the end of this month in Bratislava. The workshop will present how a creative process in an ELT classroom can result in a whole play or sketch tackling some problems teenagers face in their everyday lives. We will be using different drama techniques in the workshop e.g., forum theatre, improvisation, etc. At the end of the workshop the groups of the participants will hopefully present their dramatic view of the solution to a problem given to them. This workshop takes you through methodology and practical examples of natural and cross-cultural acquisition of language skills needed for a high-standard as well as unbuttoned daily communication. It is aimed at all kinds of students, whether business people or spoilt teenagers. The whole workshop is based on current ways of acquiring a foreign language, that is, through slogans, social media statuses, lyrics, Instagram, Facebook, eCards, and so on…It is basically playing with English words, creating catchy slogans, sayings, using modern smartphone apps (subliminally applying grammar rules). Martin has 15 years of experience and has worked for private and state language schools as well as universities. His company Bright House Language Institute offers seminars and training for teachers, managers, public speakers and business people specializing in speech delivery, public speaking, communication protocol, presenting, reporting and English for specific purposes. His last overseas placement took him to Honduras, where he taught ESL classes at Unitec, Laureate International Universities and was voted the Teacher of the Year for 2010 by the school council. 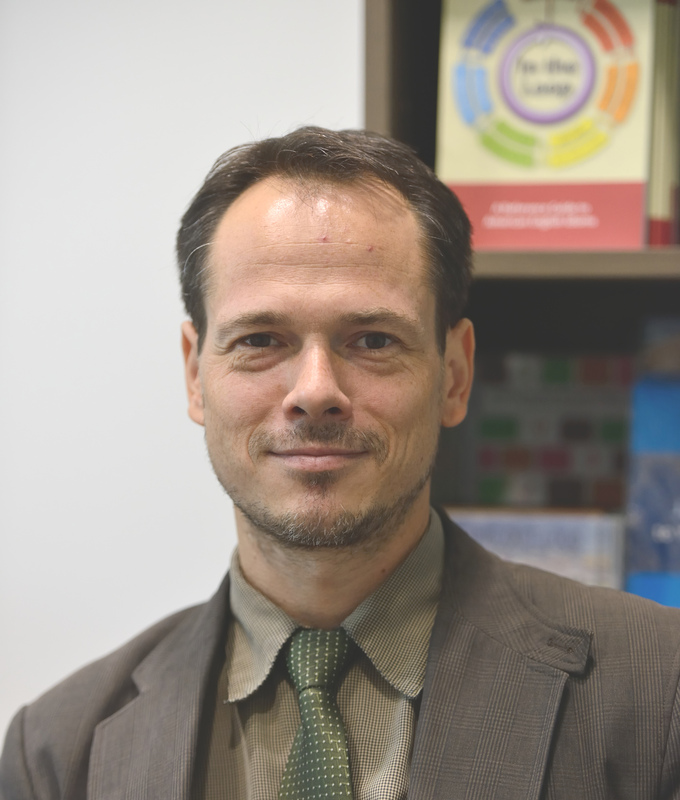 Besides running his own business, he works as an assistant lecturer at the University of Presov, Institute of English and American Studies, where he teaches Speech Communication and Language Competence and is also an active Cambridge Oral Examiner. And one 90-minute practical workshop with David Fisher! This workshop by David Fisher of The Bear Educational Theatre, Prague, will introduce a number of fun drama-based activities that can be adapted for classroom teaching at different levels. It will also open a discussion about the role of fun in the classroom. When is having fun ‘legitimate’ and helpful? Can it become a distraction from the real process of learning? Where are the boundaries? Introducing the rest of the teachers offering excellent training in just 3 weeks! Incorporating visuals with text can aid understanding – infographics, graphs and diagrams are used in business, science and the media to help us understand things. But can presenting information and thoughts visually help us with our and our students’ development in the language classroom? 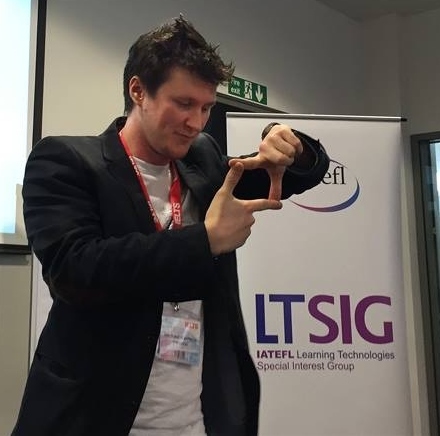 This workshop will analyse some decision making models, including the Swiss cheese model, SWOT analysis and the superficial knowledge matrix, and look at how they can be used by teachers and students to work on language skills and reflective practice. Participants will be invited to work hands-on with the models – so bring pens, paper and imagination! Fieldwork can be a great way to get learners involved in finding out about the world around them and also engaged in using and learning authentic English. This workshop will look at some actual examples of the use of fieldwork in a teacher training course and in classes of young adults in a Budapest university. Participants will be asked to consider different approaches for carrying out fieldwork projects, what principles a good fieldwork task needs to take into consideration, and come up with an idea for a possible project in their own learning context. This next two are for the those of us who want to use a bit more technology in our classes. There is limited space for this and sign up is required. This workshop will show participants freely available Web 2.0 technologies that can be combined in web pages called “mashups”. The workshop will begin with an explanation of what Web 2.0 is and then move on to materials authoring. The specific resources used will be selected from Rich Internet Applications (http://clear.msu.edu/clear/resources/rich-internet-applications/). Two RIA tools will be demonstrated and practiced: audio dropbox and mashups. Youtube videos will also be embedded in the mashup. Participants will create their own materials using these resources and this will be followed by discussion of the strengths and limitations of these technologies for language teaching. Do you know how to start teaching English to (very) young learners from the first moment? You don‘t want to or can’t translate every word, but will they understand an English-only approach? And how can they learn about their progress? This workshop will provide some practical tips for working with young beginners in a way they (and you) will enjoy. It is a perfect time to get ready for the upcoming holidays! Halloween’s coming in a month, Thanksgiving in two, Christmas in three, and there is a celebration that can be in the spotlight throughout the year – our students’ birthdays. This workshop will offer a variety of practical activities that can be used in our classrooms with young learners. Chants, games and new vocabulary worksheets based on the themes of these holidays are going to be presented and practiced in an interactive way. Anica has been an EFL teacher for 10 years. She graduated from the Faculty of Philosophy at the University of Novi Sad, Serbia. She works in a primary school in her hometown, Novi Sad. 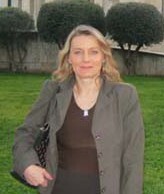 She has been an active member of ELTA Serbia since 2006, as a board member, regional coordinator, and teacher trainer. She has also participated in a number of conferences throughout Europe. Her fields of interest are teaching young learners and teaching unplugged. This workshop focuses on socio-linguistic, pragmatic and non-verbal competences in English language teaching to young learners. Slovak and English components are compared. By games, role plays and explanations we will cover the following competences: greetings, onomatopoeia, gestures, and pragmatic phrases and cultural knowledge. In this seminar we will look at the challenges teachers face when teaching classes with mixed learning abilities. We will look at why classes have mixed abilities and at activities that can help the teacher find a balance to keep the strongest and the weakest pupils on board, addressing the needs of a wide range of learner abilities, sensory learning styles and levels within the class. In this workshop we will explore a number of short, enjoyable and communicative activities used as warmers to wake up, motivate and enthuse learners, and consider how coolers can be used effectively to wrap up and close a lesson. The warmers and coolers demonstrated in the workshop are versatile, and can be used in teaching both language and skills for all levels and abilities, with a view to making learning not just more fun, but also more productive. Using drama in ELT is old hat for some folks but a brave new world for others. We’ve tried to put together a variety of practical workshops for you, ones we’re sure you’ll enjoy too. They cover the full range of ages and language levels. Here are 4 of them. Bring theatre improvisation to your classroom and empower especially communicative competence of your students. Simple, extremely engaging, motivating and spontaneous exercises that will energize. Practise vocabulary or tenses, learn how to rhyme, and simulate natural language use in authentic situations. Real training for real communication. This workshop requires active participation. The texts our coursebooks mostly consist of might not always be motivating enough. Using a different approach could make a great difference. Drama-based activities, presented in this workshop, could bring the characters from those stories to life and immerse the students into the fictional world of the story. This workshop will lead you through a historical period and a life of a person living in the said period in one famous story. We will go from your personal experience to the experience of the historical time period and the experience of the particular character. At the end of the workshop you should be able to understand the period and the life and the motives of the literary character. Another of the workshop categories this year, because so many of us teach in secondary schools and language schools, is teaching teens and adults. Here are just four of what’s on offer in just three weeks’ time. At any time, it is great for your students to be able to tell others about what they do well. Through the topic of a job interview, this can be the first step. This workshop will explain more about what kind of strengths students might have and look at the VIA Strengths which can give your students more ways to look at themselves in a positive way and get experience to prepare them for the job interview. ‘Refugee’ or ‘migrant’? Apart from teaching grammar, English teachers have the opportunity to develop young adults’ linguistic and cultural awareness. By working with texts and pictures on a topic which is relevant to everybody living in Europe today, not only does a learner’s vocabulary range increase and their reading and critical thinking skills improve, but potentially they are able to interpret the information they hear with more clarity and respond to it with more humanity. Participants in this workshop will actively work with materials on current events learning how to use such materials with their own students. This workshop focuses on different ways through which teachers can exploit images in class to help their learners develop all language systems and skills. By the end of this workshop, teachers will have explored different activities for a variety of levels and ages through a series of hands-on tasks in which they will experiment with and evaluate the effect of tasks with images. Emphasis will be given on tasks with images that help learners prepare for language exams. Most of us believe that error correction plays a crucial role in boosting our students’ developing linguistic system. For this reason, we painstakingly remind them to avoid using ‘Czenglish’ expressions as much as possible. But has it ever occurred to you that, maybe, just maybe, some of the items we have been stubbornly and categorically referring to as ‘errors’ may actually be part of a vast gray area of acceptable – if unlikely – language?